After his 16 years of service as Melrose’s affable Mayor, Robert Dolan will be moving on. 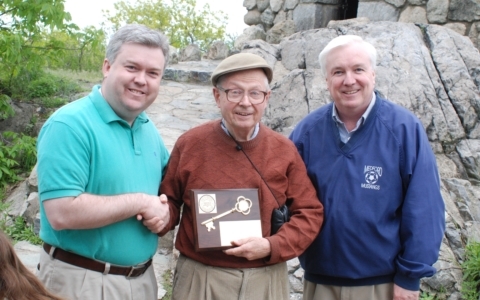 He has accepted the position of Lynnfield Town Administrator, replacing interim TA Bob Curtin, who has been in place since James Boudreau’s recent departure. Dolan will be replaced by incoming Mayor Gail Infurna, and the Friends of Fells would be remiss not to take a moment and remember our many collaborations with him as he leaves office. 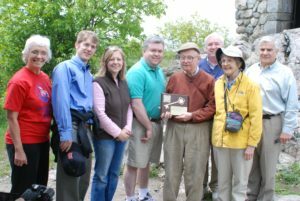 Over the years Dolan has provided consummate support and guidance to the Friends, and actively backed conservation efforts at a time of great challenge to the nature and character of the Fells. 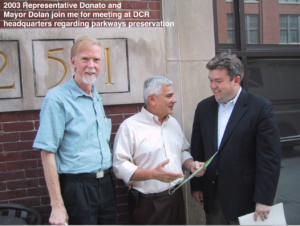 Dolan’s office was an open door to the Friends, evidenced by his availability to testify at key hearings or willingness to meet with state and local officials during his tenure. 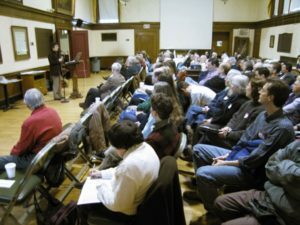 His office also partnered on a multi-community conservation conference, Saving Common Ground, the first of its kind in Melrose. It was a great pleasure to have had the opportunity to work in concert with Dolan. 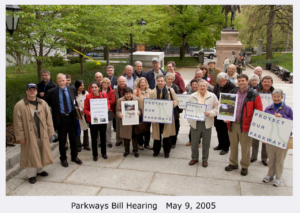 His wisdom and humor will be greatly missed, and his efforts to protect the character of the Spot Pond historical district from over-development will not be forgotten. 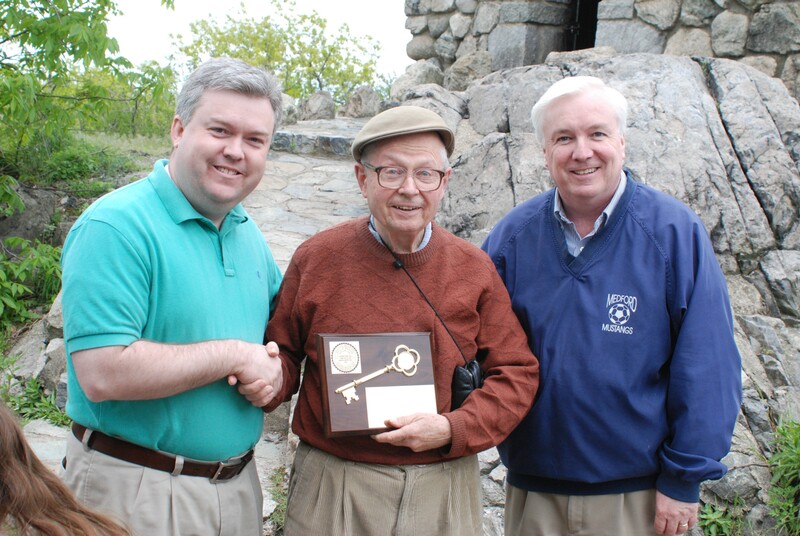 Mayors Dolan (left) and McGlynn (rear) present the key to the City of Melrose along with State Rep. Paul Donato (far right) to great great grandson of Elizur Wright, Theodore (center). 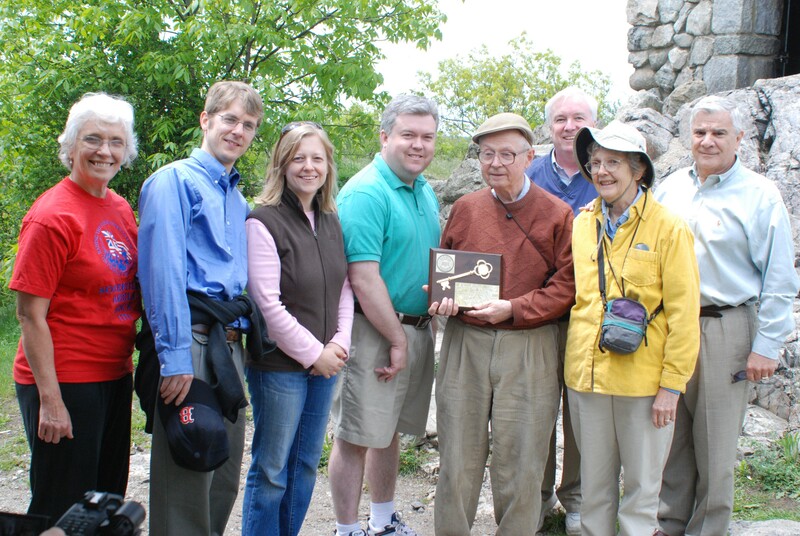 The re-dedication ceremony for Wright’s Tower in Middlesex Fells took place in May 2008. 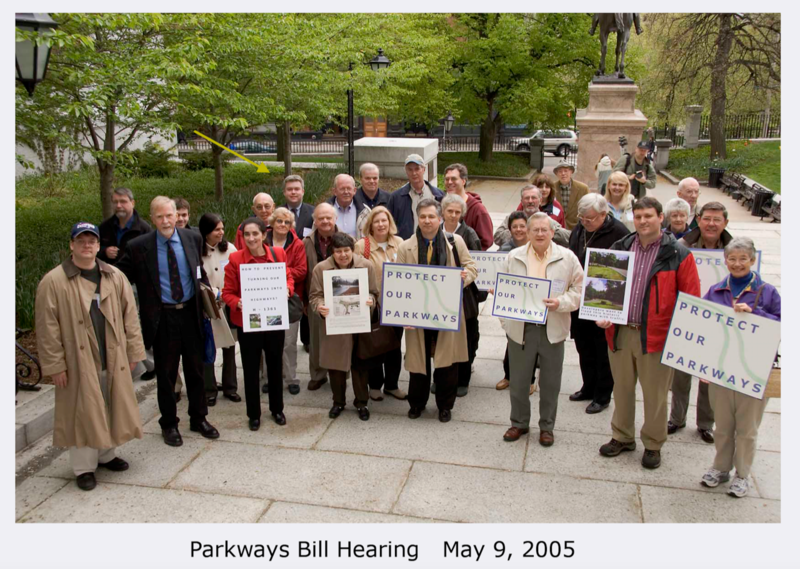 Many of the photos in today’s feature came courtesy of former Executive Director of FoF, Mike Ryan. 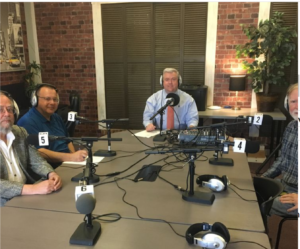 For more about the outgoing Mayor and his partnership with the Friends, click on the photo below to check out a podcast we did recently in October 2017. 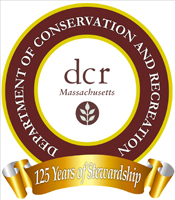 Blog Podcast, recorded by Dolan October, 2017 with the Friends of Middlesex Fells.